Obtaining higher rankings is more and more difficult when considering any Belize related search terms since an increasing number of international and Belize sites are competing for the same terms. Therefore, anything that can be done to help your site rank higher then your competitors can be important to your business or organization. One factor to consider is encrypting your website using HTTPS – industry leading encryption that was once used primarily for sites handling sensitive information (like banking sites dealing with your finances) but is now being used by more and more standard sites. 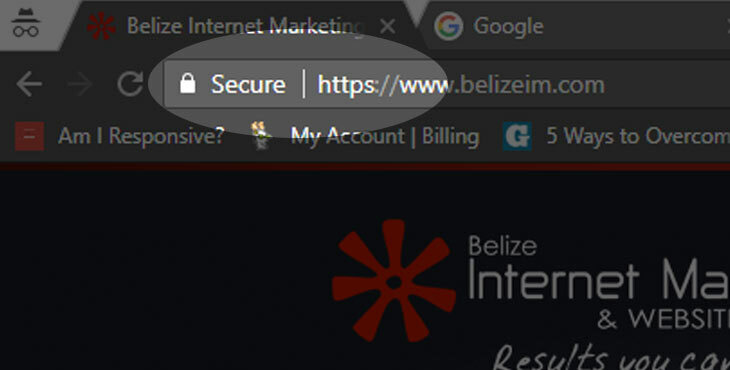 In the travel industry sites like TripAdvisor recently went thought the process of using HTTPS for their entire site but sites in Belize like belize.com are starting to do the same thing. So why are these, and other sites, making this more to HTTPS and how are HTTPS encryption and ranking related. So if you are looking for an edge in getting higher rankings consider moving your site to HTTPS…the reward in rankings are likely to only increase over time.